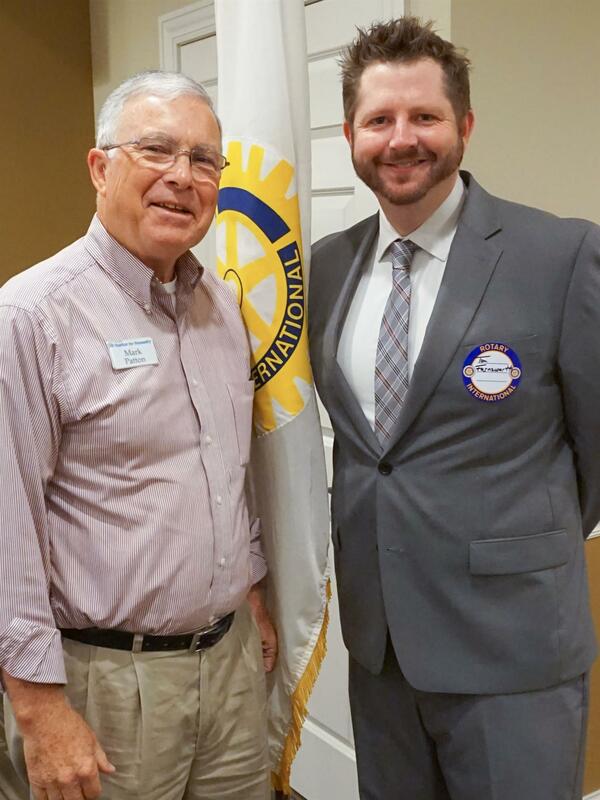 Rotary File for September 13, 2016 | Rotary Club of Iowa City A.M. The Sept. 13 speaker was Thomas D. Farnsworth, attorney with Kinnamon, Kinnamon, Russo, Meyer, KIeegan and Farnsworth. His topic was about criminal sentencing and the criminal justice system in Johnson County. Deb Dunkhase announced that the Rotary Foundation has now achieved a rating of 100% in Charity Navigator. 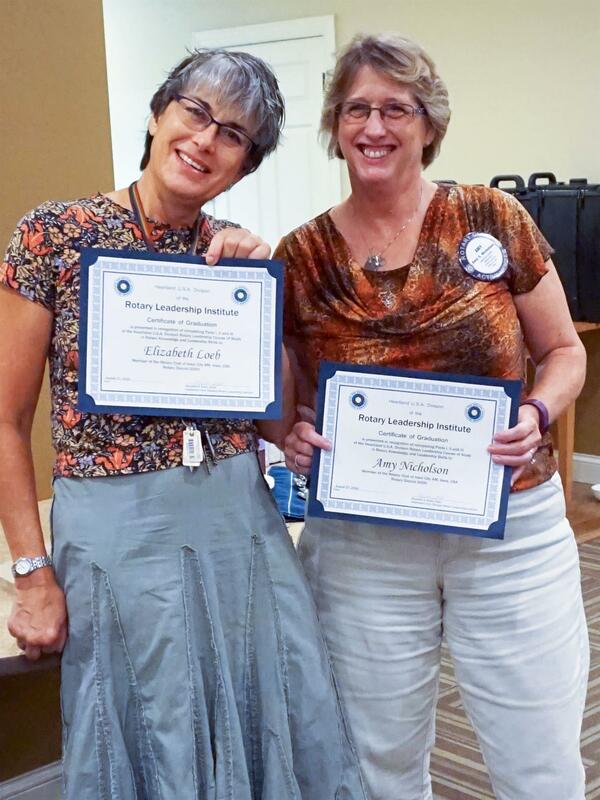 John Ockenfels honored Amy Nicholson and Liz Loeb for completing all three parts of the Rotary Leadership Institute. Thanks to volunteers Hazel Seaba, Frank Juvan, Margy Winkler, Mike O'Leary and Mark Patton we made $160 on our first Saturday of sorting cans. We have Ron Logsden, Casey Cook, Mike O'Leary and Karin Franklin signed up for can duty on October 8. Tickets ($15 each) are available for the Joint Service Club lunch on October 6. See Deb Dunkhase for tickets. Take posters to put up around town for the Iowa City Area Rotary Clubs Polio Awareness Social on October 10 from 5:30 to 7:30 at the Park Lodge at Terry Trueblood Recreational area. The minimum donation for that dinner and program is $25 each. We are collecting good usable items for a fleamarket fund-raiser on October 8 in the parking lot in front of Lucky's at the Sycamore Mall. Price your items when you bring them in. Nut sales are in progress through October. There are order forms at the tables. Amy Nicholson is in charge of Home Hospitality for the District Conference on May 6. Let her know if you are willing to host some attendees for dinner. One Rotary Summit in West Liberty on Oct. 5, 5:30 to 9 pm will provide information on a host of Rotary-related topics including membership recuitment and retention, Foundation, public image, etc. Register at the District 6000 website. There were a host of happy bucks. Mark Patton introduced the speaker, Thomas D. Farnsworth, who discussed the criminal justice system in Johnson County. He has been a criminal defense attorney in Johnson County for a number of years. He introduced the concept of the Johnson County Justice Center which is a consortium of programs and entities in the legal and law enforcement arena that looks for ways to provide alternatives to incarceration for non-violent offenses. Farnsworth also presented a flow-chart that detailed the complex and costly chain of events that occurs when an individual is charged with a crime in Johnson County. There are diversion programs that, when completed, can lead to dismissal. Those who commit crimes often do not realize the lifetime impact a sentence will bring in terms of time in jail, possible loss of a job, fines, fees, loss of a drivers license, loss of federal student aid, etc.